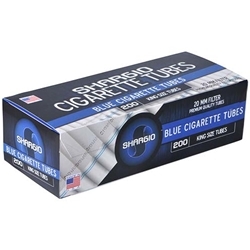 Shargio Filtered Tubes are produced with only the highest quality cigarette paper and premium filter element. These quality materials combined with your choice of premium tobacco provide the ultimate in smooth, refreshing smoking pleasure. Available here at Smokers Discounts!